Maddie Meyer/Getty ImagesMary Bono’s tenure as interim president of USA Gymnastics lasted less than a week. Interim president of USA Gymnastics Mary Bono resigned on Tuesday after just five days on the job. Bono’s resignation came after getting called out by two of the most prominent members of USA Gymnastics, Simone Biles and Aly Raisman. Bono was criticised for her anti-Nike tweet as well as her association with a firm that helped to cover-up Larry Nassar’s allegations. Bono was made the interim president of USA Gymnastics on October 12, but would quickly be enveloped in controversy after getting called out by team members Simone Biles and Aly Raisman. Bono, a former congresswoman, first drew criticism over a now-deleted, anti-Nike tweet, which depicted herself filling in the infamous “Swoosh” logo with a marker. 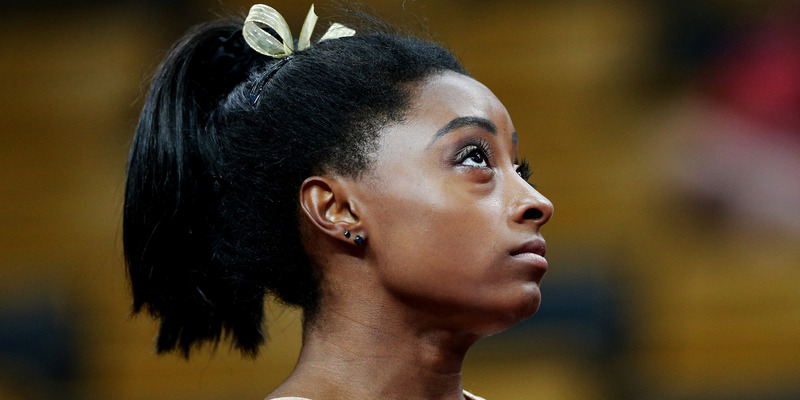 Biles responded with a tweet of her own, expressing shock that the new leader of the organisation she represented would so brashly dismiss one of the biggest sponsors of both the Olympics and Biles herself. Bono apologised for the tweet in a statement, but the criticism did not stop there. Shortly after, Biles’ teammate Aly Raisman raised another point on Twitter, noting that an employee at Faegre Baker Daniels Consulting, a firm where Bono had served as senior vice president, had worked with USA Gymnastics to concoct cover-up stories for Larry Nassar as to why he was not attending events while he was under investigation for molesting young athletes. A day later, Bono was out. USA Gymnastics is still without a president, but between Biles and Raisman, the organisation has no shortage of leadership.